For some years I have been actively involved with the charity The Yellowmen of Kadongdong helping to raise funds. Many a weekend has been spent at the local car boot sale finding new homes for other people’s unwanted and unloved items or attending craft fayres where I endeavour to sell home-made cards and my so-called crafts. You name, I can sell it – though I have to admit that my friends now run when they see me coming amid fears that I am peddling my merchandise, or even worse, asking for contributions. Yes, I knew what a difference this fundraising was making; I had seen all the photographs, knew all the facts and figures, and had listened to the first hand experiences of other Yellowmen who had been out to Kenya. 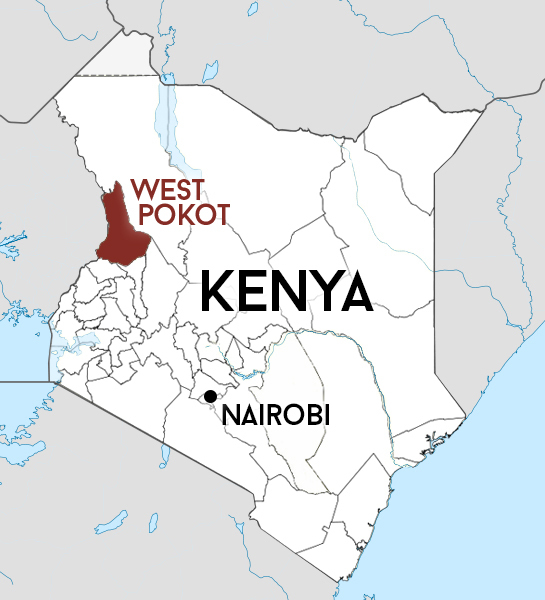 But then I went out to West Pokot myself – and nothing could have prepared me for that experience. During my ten day stay, I met and worked with some truly inspiring people; people who remain positive and upbeat despite years of hardship. It was a humbling experience to see the enthusiasm of teachers working with few resources in rudimentary buildings; to hear the dreams of the students who are grateful for the education they receive and who work hard to meet the high aspirations they set themselves; women with HIV who refuse to give in to their situation and fight to remain independent and self-sufficient; and local doctors and nurses who endeavour to provide good medical care to the local communities despite lack of resources. The gratitude and appreciation expressed for our support was overwhelming at times. Listening to a teenage girl stand up and thank us on behalf of the pupils at her school was heart-wrenching. It made me think of my children and the prospects they have and often take for granted; it caused me to reflect upon my life and the abundant opportunities available to me which are frequently squandered or wasted. The ten day stay was at times both physically and mentally exhausting. There was so much to do in such a limited time. I had gone to Kenya hoping to make a difference in what little way I could, to work with the tribespeople to improve their lives. What I hadn’t bargained for was the enriching effect it was to have on my own life. It has made me reflect upon the fact that every human being wishes for and deserves happiness; that we must use our gifts and talents for the good of others; and that there is a marked difference between want and need. Yes, I still often take many things for granted – I like the good things in life and am prone to over indulging with wine and chocolate. But the lessons I have learnt in humility, perseverance, respect for others and having a positive attitude in the face of adversity, are lessons which will continue to impact on my life and the way I live it.